Live casino solutions provider Evolution Gaming has gone live with another dual play roulette convergence table for Genting Casinos, this time at the company’s Palm Beach Casino in London’s Mayfair. Established in the heart of Mayfair for over 50 years, The Palm Beach Casino has recently undergone a complete refurbishment. The Evolution Dual Play table is part of the venue’s new look, which also includes a brand new à la carte restaurant and a new café bar. 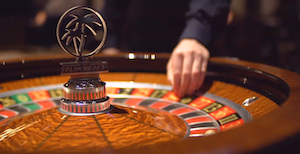 Named Roulette Live Mayfair, the Evolution dual play roulette table will allow this casino’s clientele to play at the dual play table while on-premise at the actual table, or at the same table remotely on smartphone and tablet at times when they are not able to visit The Palm Beach.